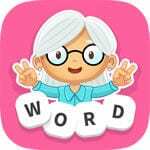 Word Whizzle Pop is the newest game from Word Whizzle saga and it seems like a unique fun way to pass time. If you are struggling to find Word Whizzle Pop Answers, you are in the right place. We have answers for all Word Whizzle Pop levels and everything is updated December 2018. You can play this game on your android and IOS devices on mobile phones and tablets. If you see any missing level you can contact us from our contact page and we will add it immediately.